This table may be used as a reference for interpreting your Volvo vehicle’s computer messages. If codes other than these are indicated, repeat self-diagnosis. If codes reappear, substitute a known good ECM, and recheck codes. If you have no idea how to pull codes, see the instructions below. The Bosch LH 3.2 Jetronic system isused on the 20 valve non-turbocharged except some B5254 S engines using Motronic. Note that the following codes are a compilation of descriptions from a number of sources. It has been the compilation ‘policy’ to err on the side of too much information rather than too little. Codes appear as blinks, copy down the code onto paper. Press button again after code displayed to see next code. After all codes displayed, codes repeat. 1-1-1 means nothing’s there (hopefully, all OK). 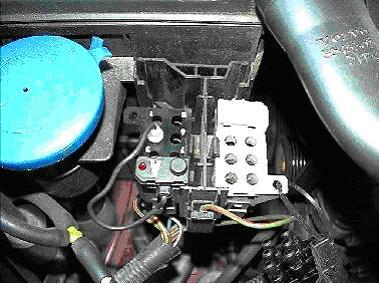 Just because a code is there doesn’t mean that it is a 100% certain problem for your car. Electric spikes etc may occur giving false readings on the diagnostic system. Fault codes can’t be deleted until you have read them all at least once. or write down code(s) repeat code gathering procedure.